Have your candy and eat it for breakfast, too. We want to say we didn't see this one coming, but...we totally saw this one coming. For starters, the whole Starbucks flavor craze—including, but not limited to, that "perfect nexus of awfulness" known as the Unicorn Frappuccino—clued us into the fact that people want more options. Weirder options. And Pop-Tarts is no stranger to weird. They've already given us a whole lot of it: There were the Pop-Tart tacos, the Root Beer Pop-Tarts, the Orange Soda Pop-Tarts...the list goes on. Sure, nobody specifically asked for any of these flavors. But as flavor after flavor was churned out, it was clear that people must be eating them up. 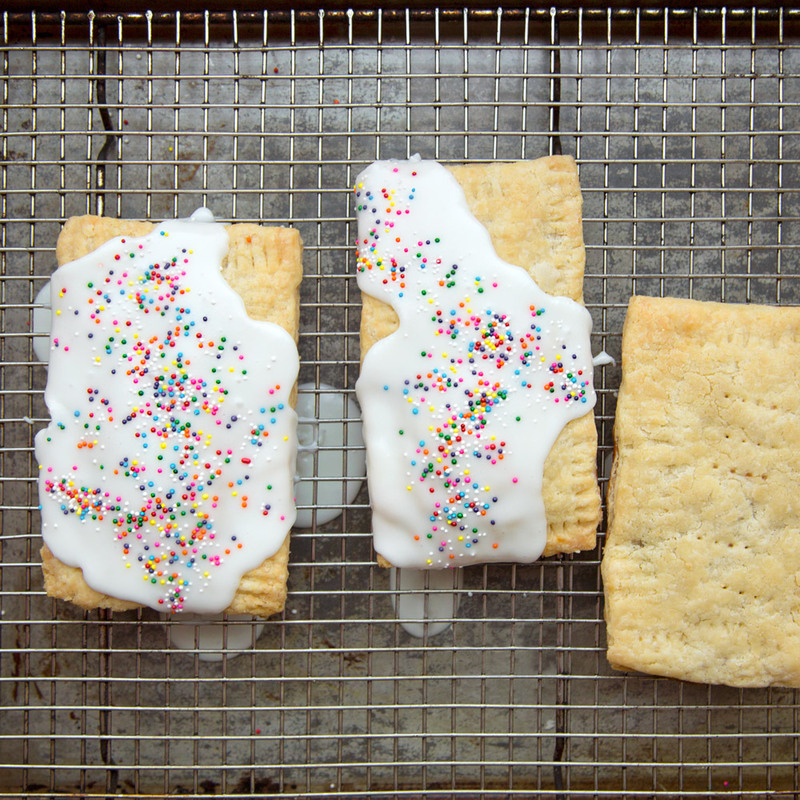 The more probable reason we saw this one coming is that we've been hearing rumors about these alleged candy-flavored Pop-Tarts for quite some time now. Thanks to an Instagram post from junk food sleuthing Instagram account JunkBanter, the secretive flavor wasn't all that secretive. In fact, the snacker behind the account posted not one, but two revealing posts: one featuring the frosted green apple flavor, and the other featuring the frosted watermelon flavor. "Happy Mother's Day to all the Moms!" JunkBanter wrote in the caption accompanying the watermelon flavor, which shows a bright pink box with a "LIMITED EDITION" banner running across the top of it. "Looking for something a little different than flowers? Make her puke this year with new Jolly Rancher Pop Tarts!" Thank you, JunkBanter, for the recommendation. Now, it's official: The brand's parent company, Kellogg's, has confirmed that Pop-Tarts will soon be available in frosted watermelon, frosted green apple, frosted cherry, and—though this part is still a mystery to us—possibly other frosted candy flavors, too, each inspired by existing Jolly Ranchers flavors. That means we should be on the look-out for tangerine, lemon, and blue raspberry, too. The initial flavors will make their debut in grocery stores at the end of May. Prepare yourselves, everyone. Prepare yourselves.